South Africa is one of the world’s ultimate tourist destinations. There are very few places if any, that offers such a diverse range of activities, cultures, landscapes and contrasts, as those found in South Africa. The SA Tourism board’s slogan used to be, South Africa a World in one country! And that very much sums up this gem of a tourist destination. South Africa is situated at the southernmost tip of the African continent, and is flanked in the west by the Atlantic Ocean, in the south and east by the Indian Ocean, in the north by Namibia, Botswana and Zimbabwe, and in the north-east by Mozambique and Swaziland. South Africa covers an area of 1,127,200 sq. km - about one eighth the size of the USA, and nearly five times the size of the United Kingdom. 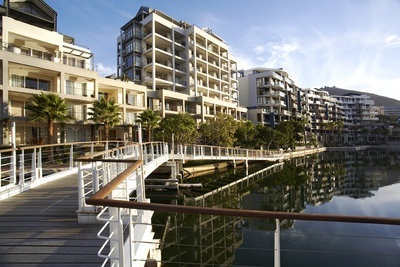 The Western Cape Province and its related attractions are a must for any visitor to South Africa. The beautiful city of Cape Town, the majestic Table Mountain, pristine beaches and the stunning Cape Wine-lands are all found in the Western Cape. The Western Cape offers great weather, world class wine, superb cuisine, stunning mountain ranges, unique flora and an abundance of scenic beauty. No trip to South Africa is complete without a safari to view Africa’s Big Five. South Africa is at the forefront of conservation in Africa, with many endangered species like the White Rhino having being brought back from the verge of extinction by concerted conservation efforts. South Africa has some of the best game viewing in Africa, with arguably the biggest variety of game species available on the continent. Most of the game viewing takes place in National parks and in large private game reserves (in many cases bordering the National Parks). The premier game viewing destination in South Africa is the world famous Kruger National Park and its many surrounding private game reserves like the Sabi Sands, Timbevati and the Manyeleti. 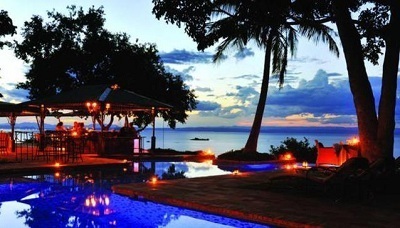 This area is famous for superb game viewing and luxurious game lodges. The Kruger Park is one of the most famous and oldest national parks in Africa. This area is renowned for great predator sightings and a visit to this area, will most likely lead to a encounter with some if not all of Africa’s famous Big Five (Lion, Leopard, Buffalo, Elephant and Rhino). 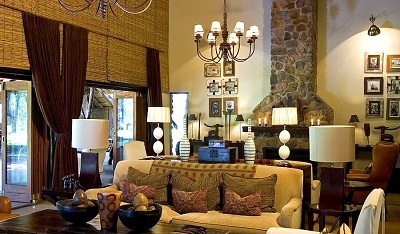 South Africa has the added advantage of being able to offer safari destinations that are Malaria free. The Eastern Cape and Madikwe have developed into prime game viewing destinations that also offer the Big Five with the advantage of being situated in Malaria free areas. 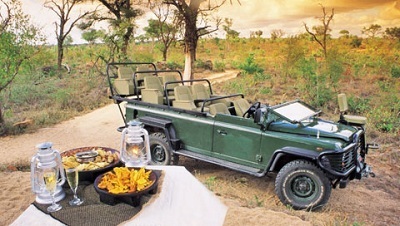 These areas are ideal as a Big Five safari destination for families with smaller children. South Africa is a subtropical country with abundant sunshine and has a moderately dry climate with an average annual rainfall of about 464mm. Western Cape is a winter rainfall area which enjoys a Mediterranean climate (warm dry summers, cool wet winters). Occasional winter snowfalls cover the surrounding mountains. Average maximum summer temperature is 24 C; winter 18 C.
The Eastern Cape & the Garden Route enjoys elements of the Mediterranean climate of Cape Town as well as that of the summer rainfall regions to the east. Gauteng, North/West Northern Province and Mpumalanga, enjoys summer rainfall, typically afternoon thunderstorms of short duration. Mild dry winters are the norm with occasional early morning frost on the Highveld. Average maximum summer temperature in Johannesburg is 24, 7 C; winter 18 C. Pretoria summers 27, 5 C; winter 21 C. Midsummer temperatures in the Kruger National Park can exceed 35 C.
Kwazulu Natal enjoys summer rainfall (typically after thunderstorms) and the inland areas have cool dry winters and snowfalls on the Drakensberg cause brief cold snaps. The coastal areas tends to have warmer more tropical weather in winter making the Kwazulu Natal coast a year her in winter making the Kwazulu Natal coast a year round destination Average maximum summer temperature in Durban is 25, 5 C; winter 22, 6 C.
• SUMMER - December to March. • AUTUMN - April to June. • WINTER - June to September. • SPRING - September to November. 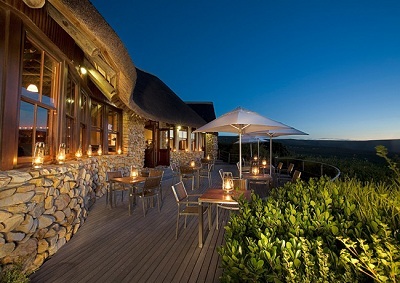 South Africa enjoys a glorious climate and can accurately be called a year-round destination. The best time of the year to visit South Africa depends on what you want to do. The best time for game viewing is September and October, although game sightings are very good throughout the year. The southern right whales visit our coasts from mid-June to the end of October. The flowers are best in August and September. For hiking, spring and autumn is the best time. For birding November (when the Palaearctic migrants arrive) and mid-October (when the intra-African migrants arrive) are best. For the sun seekers who want to hang out on the beach, midsummer is ideal. Although Kwazulu Natal with its beautiful beaches has very nice weather suited to a beach holiday even in mid winter (June, July August). South Africa is an African country that has been blessed with a first world infrastructure. The country offers modern cities, first class airports, good roads, first world banking facilities, world class hotels luxurious game lodges and excellent restaurants. South Africa has a quality roads system and modern airports with regular scheduled flights to most destinations within Southern Africa. Water - The water in South Africa and Namibia is extremely palatable and is perfectly safe to drink, however should one be a little uneasy with tap water, bottled water is freely available. Getting there - Your gateway to enter Southern African countries is Johannesburg South Africa. South Africa is also the gateway to the rest of Southern Africa as most long haul international flights from Europe and North America to Southern Africa, fly into the OR Tambo Airport in Johannesburg. This means that Botswana, Mozambique, Namibia, Zambia and Zimbabwe can all be accessed by air via Johannesburg. Passport Requirements - Passport control has become very strict. Passports MUST be valid for at least six months from your return home date. We recommend a validity of nine months to prevent any problems in this regard. There must be at least two blank VISA pages in the passport (not endorsement pages). Visitors have been denied entry due to not having sufficient Visa pages in their passport. Visitors from the USA and European Union countries do not need visas to enter South Africa. If you come from other countries please check beforehand what the visa requirements are for your country. Currency - The currency is the South African Rand and the international symbol is R. One rand equals 100 cents. South African Rand’s are accepted country wide. • Traveller’s Cheques and foreign currency notes of all major currencies can be obtained at commercial banks, airports and major hotels. • Most credit cards are accepted by all retail outlets. VAT (Value added tax) - VAT, currently at 14%, is included in the marked/quoted price of most goods and services. Foreign tourists may claim refunds of VAT paid on goods which they take out of South Africa. Information leaflets on the procedure to follow to claim VAT refunds are available from Vat Refund Administration offices at the borders and airports. Malaria and bilharzia precautions while in South Africa - Visitors to Mpumalanga (Kruger Park area) and northern Kwa-Zulu Natal should take anti-malaria tablets before, during and after their stay. The tablets are obtainable without prescription from local pharmacies. It is inadvisable to swim in rivers; and lakes in the eastern and northern regions of the country, as the bilharzia parasite may be present in the water. Population of South Africa - The population is currently estimated at approximately 42,000,000 and consists out of Caucasians, Blacks, people of mixed race known as Coloureds and Indians. The Caucasians are descended from Dutch, French, British and German immigrants who settled in the country between the 17th and 19th centuries as well as additional immigrants from other Portugal and a large Jewish population. The Black population is made up of several major ethic groups of which the majority are Zulu's, followed by Xhosas, North Sotho’s, South Sotho’s, Tswana’s, Shangaan-Tsongas and Swazis. About 50% of South Africa's Blacks are urbanised. Coloureds (people of mixed racial origins) mostly inhabit the Eastern and Western Cape. Over 85% of South Africa's Indians live in Kwazulu Natal. After India, Pakistan and Sri Lanka, South Africa's Indian community is the fourth largest in the world. Many are prosperous merchants, traders and professional people. Languages - South Africa has 11 official languages, but only English and Afrikaans are spoken throughout the country. Official notices and road signs appear in both languages. Each of the Black groups has its own language. Urbanised Blacks are usually competent in English and/or Afrikaans. The Indian and Coloured populations are usually well versed in English or Afrikaans. South Africa is a unique country that not only offers countless different options to the discerning traveller, but is also easily combined with other must see destination like the Okavango Delta in Botswana and the majestic Victoria Falls in Zimbabwe and Zambia.